Block II spacecraft were 3-axis stabilized, with ground pointing using reaction wheels. Two solar arrays supplied 710 watts of power, while S band communications were used for control and telemetry. A UHF channel was use for cross-links between spacecraft. A hydrazine propulsion system was used for orbital correction. The payload included two L band navigation signals at 1575.42 MHz (L1) and 1227.60 MHz (L2). Each spacecraft carried 2 rubidium and 2 cesium clocks, as well as nuclear detonation detection sensors, leading to a mass of 1,660 kilograms (3,660 lb). 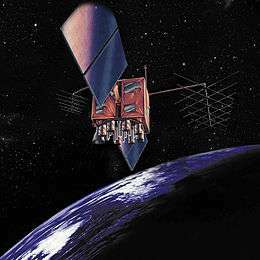 Nineteen satellites in the Block IIA series were launched, the first on November 26, 1990 and the last on November 6, 1997. The final satellite of the Block IIA series was decommissioned on January 25, 2016. The Block IIR series are "replenishment" satellites developed by Lockheed Martin. Each satellite weighs 4,480 pounds (2,030 kg) at launch and 2,370 pounds (1,080 kg) once on orbit. The first attempted launch of a Block IIR satellite failed on January 17, 1997 when the Delta II rocket exploded 12 seconds into flight. The first successful launch was on July 23, 1997. 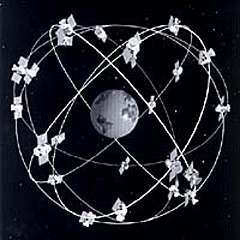 Twelve satellites in the series were successfully launched. 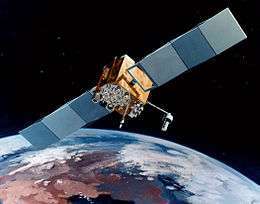 The Block IIF series are "follow-on" satellites developed by Boeing. On September 9, 2007 Boeing announced that it had completed assembly of the first satellite in the Block IIF series. Boeing is under contract to build a total of twelve Block IIF satellites. The first was launched in May 2010 on a Delta IV rocket. The second satellite was launched on July 16, 2011. 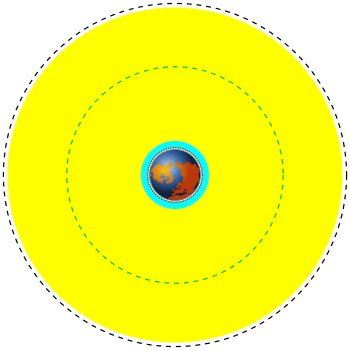 The satellite has a mass of 1,630 kilograms (3,600 lb) and a design life of 12 years. The Block IIIA series is the next-generation of GPS satellites, incorporating new signals and broadcasting at higher power levels. In May 2008, Lockheed Martin was awarded a contract for the first two Block III satellites. The contract included options for as many as 10 more. Up to 32 satellites with a design life of 15 years will be procured. ↑ "Navstar 1". NASA. 27 April 2016. Retrieved 25 July 2016. ↑ "The Global Positioning System". harvard.edu. ↑ "BLOCK I SATELLITE INFORMATION". USNO. ↑ "Site: Boeing North American, Inc.". WTEC. ↑ "BLOCK II SATELLITE INFORMATION". USNO. ↑ "GPS CONSTELLATION STATUS". U.S. Coast Guard Navigation Center. Retrieved 25 January 2016. ↑ "CDDIS Bulletin - June 1994, Volume 9 No. 5". NASA Goddard Space Flight Center. ↑ "Global Positioning management System IIR". Lockheed Martin Space Systems Company. ↑ "GLOBAL POSITIONING SYSTEM". USAF. 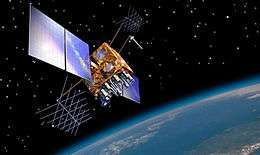 ↑ "Latest GPS IIR-M Sat Goes "Gold" For Lockheed Martin". SatNews. ↑ "ULA Delta II Completes 20 Year Era With Successful Air Force GPS IIR-21 Launch"
↑ "Boeing Builds First GPS IIF Satellite". Boeing. September 12, 2007. ↑ "Boeing Satellite Launch Schedule". Boeing. January 15, 2008. ↑ "U.S. Air Force Awards Lockheed Martin Contract for Third and Fourth GPS III Satellites". January 12, 2012.